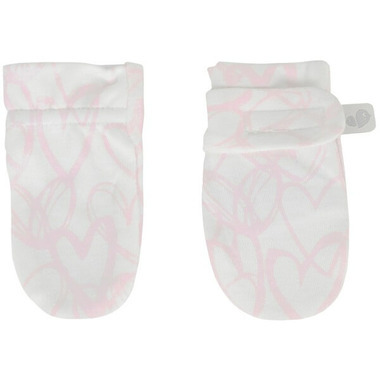 Protect baby’s pretty face with these Perlimpinpin’s no scratch mittens. Made of viscose from bamboo, they will keep baby's little hands mild without overheating. These mitts also have a hook and loop strap to prevent from falling off. One size fits all.